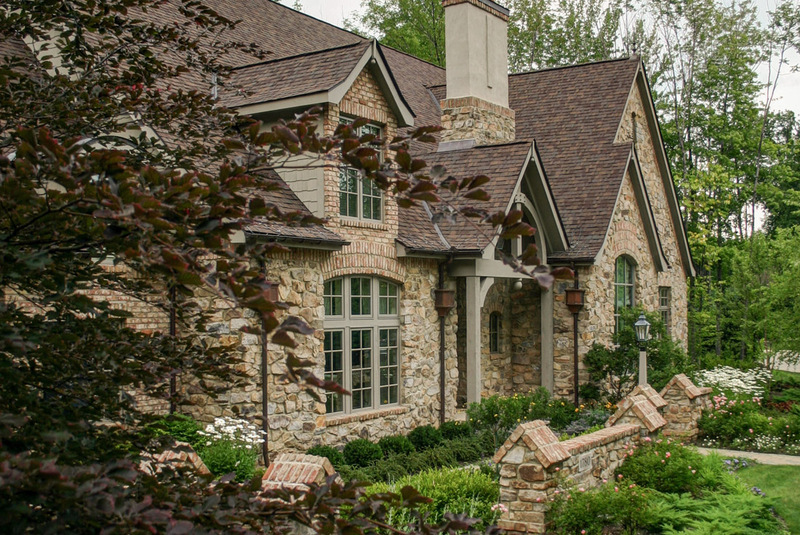 This is Country French custom home design is a project where “the best of everything” is the expectation, and as much a challenge as any project we’ve worked on. 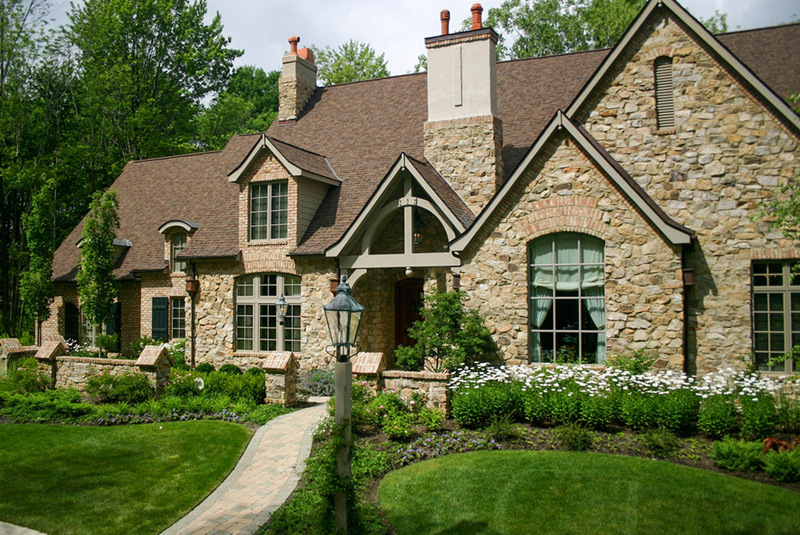 We think the result here is spectacular, and consider this one of our favorite homes. 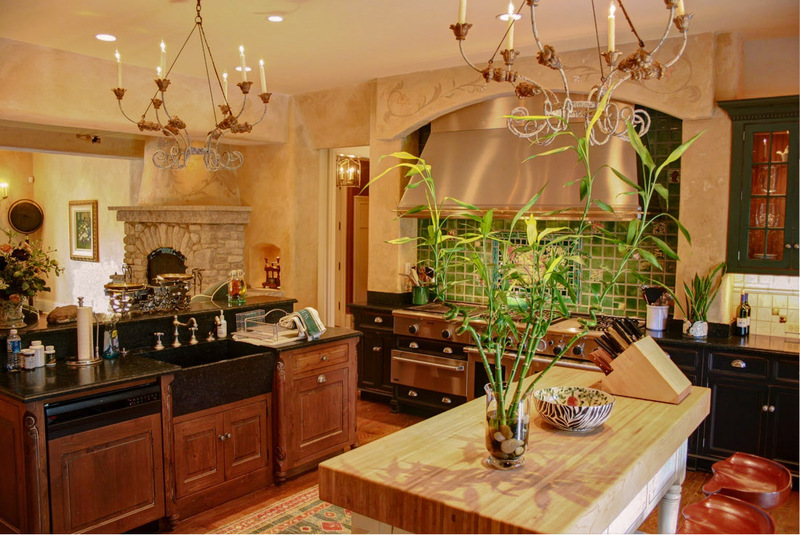 Entertaining is at the heart of this design – the kitchen, hearth, room, and dining room flow effortlessly into each other making gourmet cooking the feature event of the evening. And that’s good, since the owner is a gourmet cook with very specific ideas about the layout of the kitchen and the positions of nearby seating for guests. 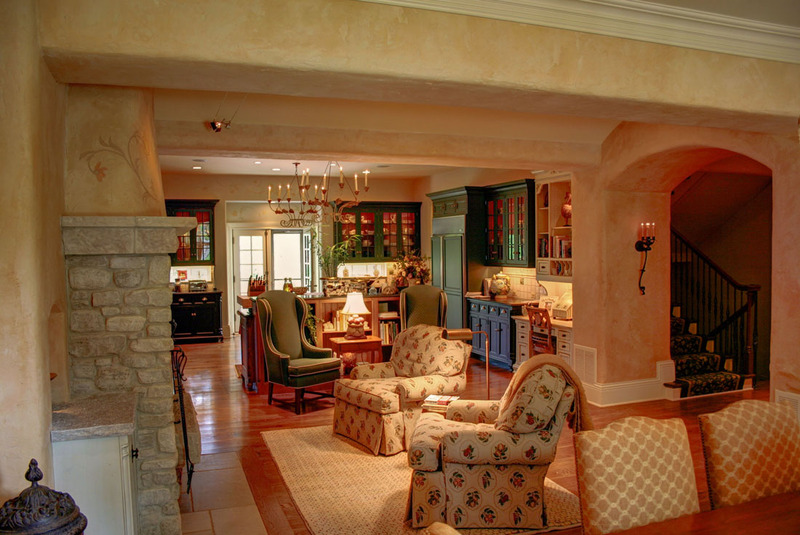 The design of the house features a gallery that runs almost the entire length of the house – visually connecting the kitchen/hearth room at one end with the master suite at the other. 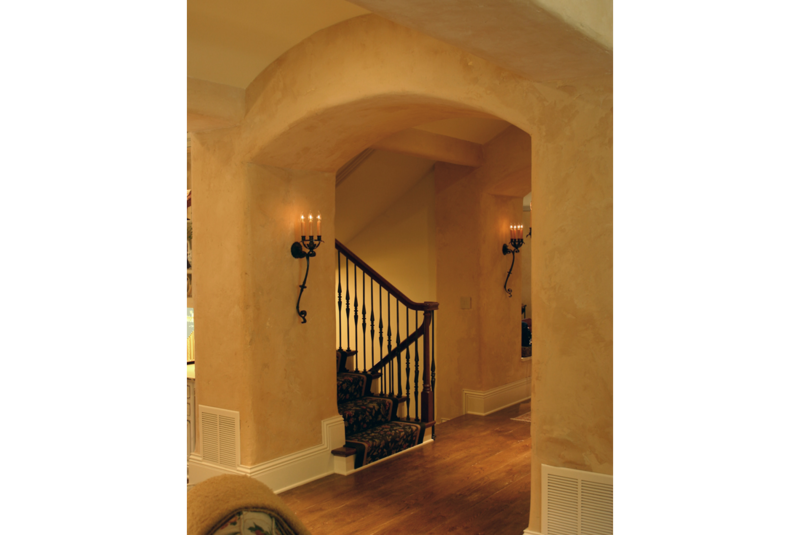 The gallery is lined with thick arches that help give the house it’s solid character. 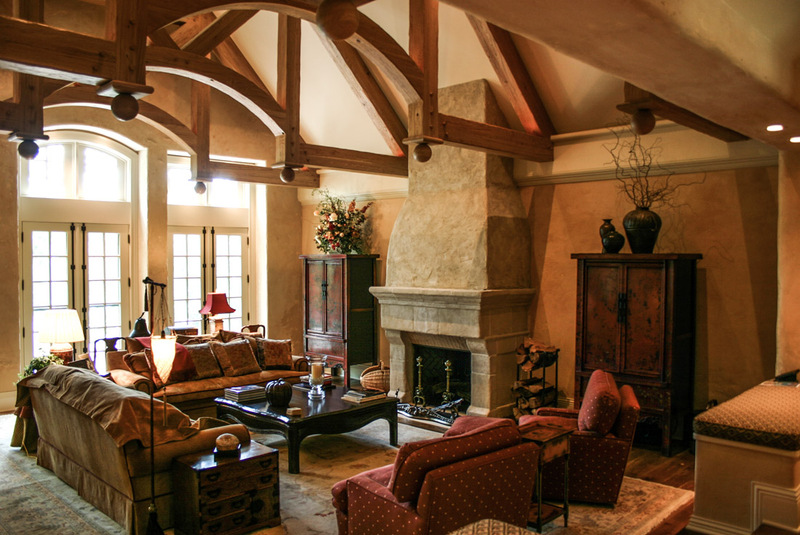 The design team on this luxury custom home included Architects, Interior Designers, and specialty contractors – often meeting all together to fine-tune the many details this French Country estate home. 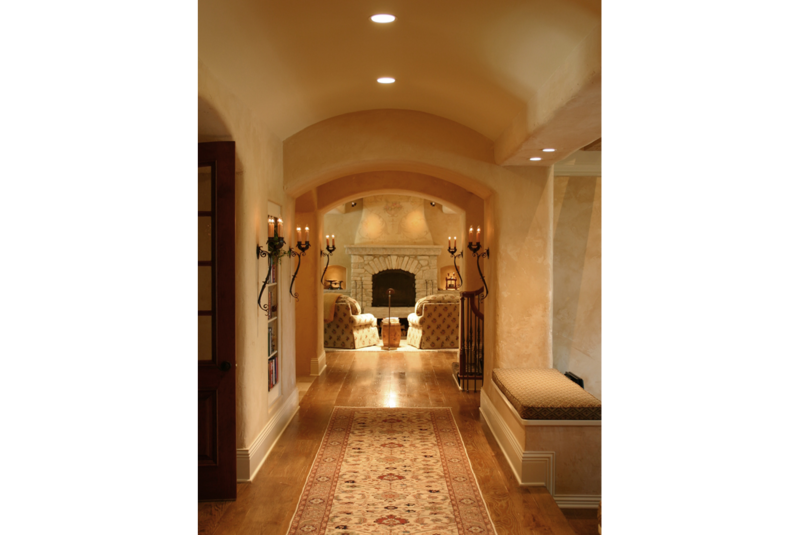 The double arches door in the background lead to the master suite. There’s no direct line of sight into the master; instead, the doors open to an art wall that terminates the view at the end of the gallery. To the right, a bookshelf is built into the thick wall that leads to the study. The main stair in the house is near the foyer, but doesn’t dominate it. This photo also shows one of the thick arches the line the gallery. 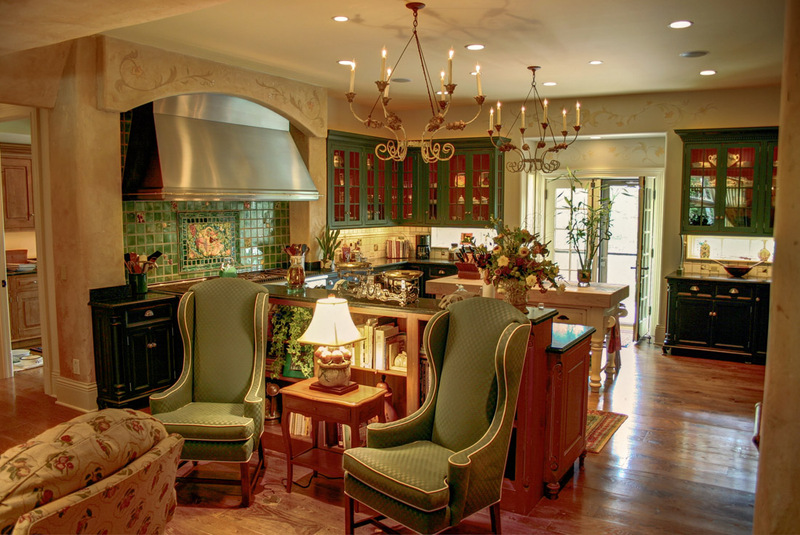 Between the kitchen and family room is a wine-tasting room. 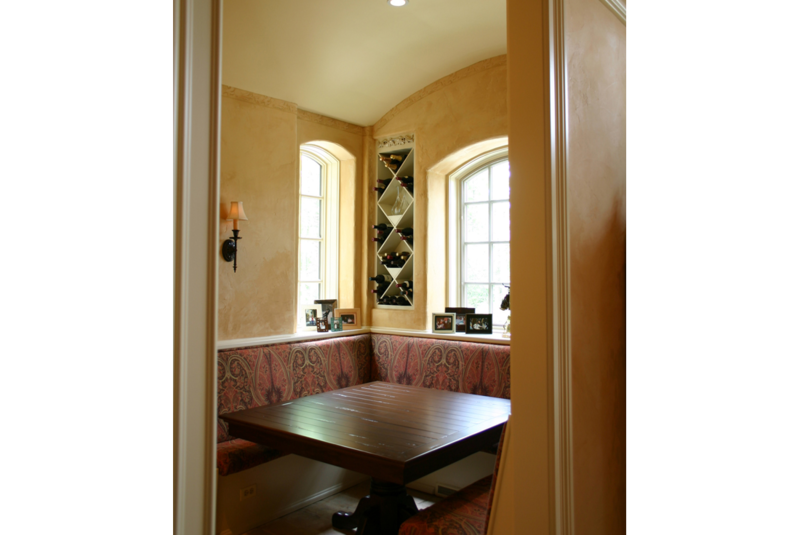 Again, here we’ve used thick walls to build in display niches for fine wines. Finally, here’s a view of the main gallery, looking from the master suite all the way to the hearth room. 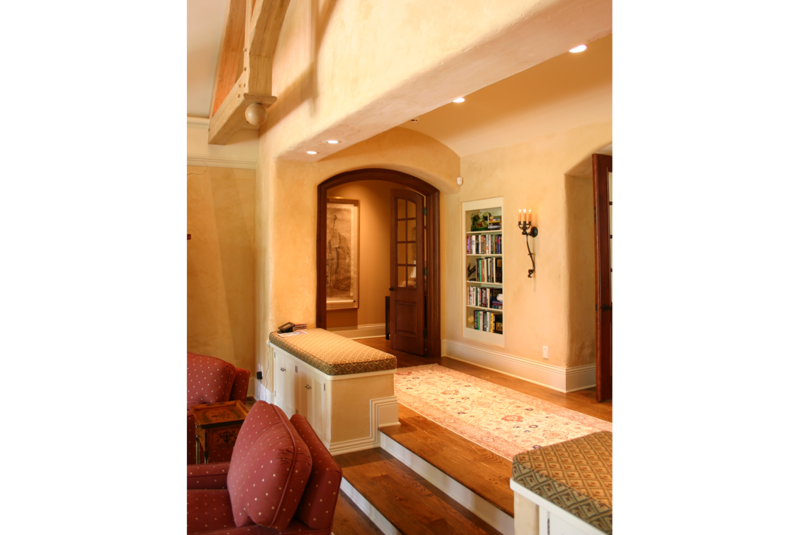 On the left is the study, then the foyer. On the right, the step-down to the family room, then the main stair. 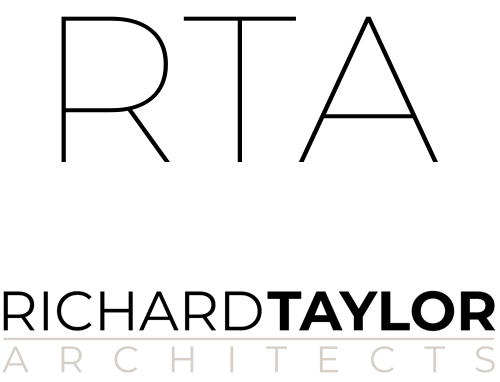 Contact me to schedule an initial consultation on your Country French custom home project.